Art brings meaning to life. Whether you enjoy a day trip to the Art Institute of Chicago on a regular basis or not, there is a visual masterpiece that speaks to you. This is because art isn’t simply made to be beautiful; it is designed to provoke an emotional response. On the other side of that process, making art also has an emotional impact on its creator. This is why art therapy, also known as expressive art or art psychology, has gained more popularity in recent years. A popular therapeutic for adults and children alike, at New Transitions Counseling Center, many of our qualified therapists utilize art therapy to help clients tap into emotions they may have otherwise never been able to express. There are things that simply cannot be put into words. Art therapy gives people the tools to communicate their feelings to their therapist that they may not have been able to access through talk therapy. Art can bring up memories, thoughts, and feelings that lay underneath the surface. Incorporating art into your regular therapy sessions may help you tap into what you aren’t consciously aware of or can’t verbally communicate, enhancing the benefits of therapy. Making art naturally reduces stress. It’s comparable to meditation. When you are creating art, you are inherently “in the moment.” Your body responds to the artistic process by calming the nervous system and putting you in a tranquil state. Art therapy can be a way to ease anxiety and day-to-day stressors. Art therapy is often more pleasant to people than traditional talk therapy. If you’ve been trying to cope with a past trauma through therapy, it might feel exhausting to get into it over and over every week, and you might leave your sessions in a sour mood. Art therapy allows you to explore yourself and your subconscious feelings in a different way than talk therapy. It’s empowering to be able to articulate these emotions through a new avenue and to feel a greater sense of control over them. Many art therapy clients find that art therapy helps them reconnect with who they are as a person, which makes them love themselves more. Art therapy is extremely common in child counseling. Children don’t yet have the vocabulary to express their feelings. Art therapy provides them with a vehicle through which they can tell their therapist how they feel, even if they can’t put it into words. Children often make art, whether at school or at home, so it can feel more natural for them to put a problem on paper rather than explaining it verbally. 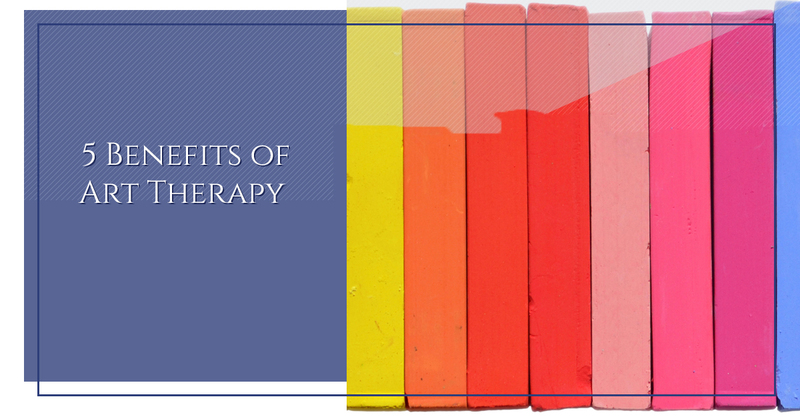 With all of these advantages in mind, it’s easy to understand why this therapeutic approach has gotten a lot of attention recently. At New Transitions Counseling Center, we are proud to offer art therapy to whoever could benefit from it. If you’re looking for child counseling or adult therapy in Palatine that incorporates art, we can help you. Contact us today to schedule an appointment!